Cake toppers give a finishing touch to your wedding cake. 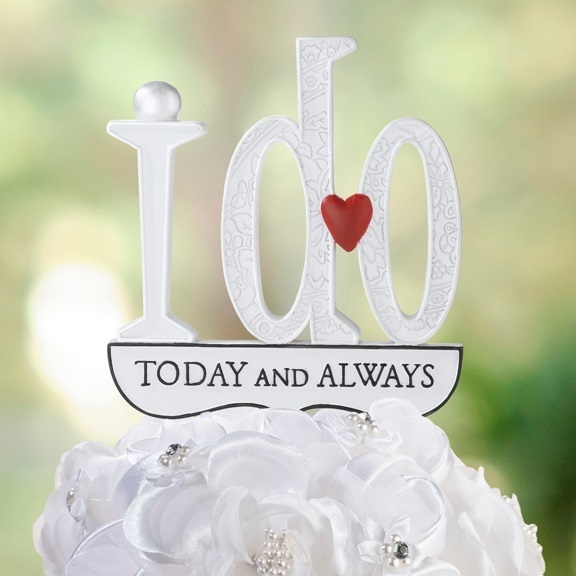 Choose a wedding cake topper to match your theme and style and to reflect the couple. Cake toppers also make a lovely momento to keep after your wedding. 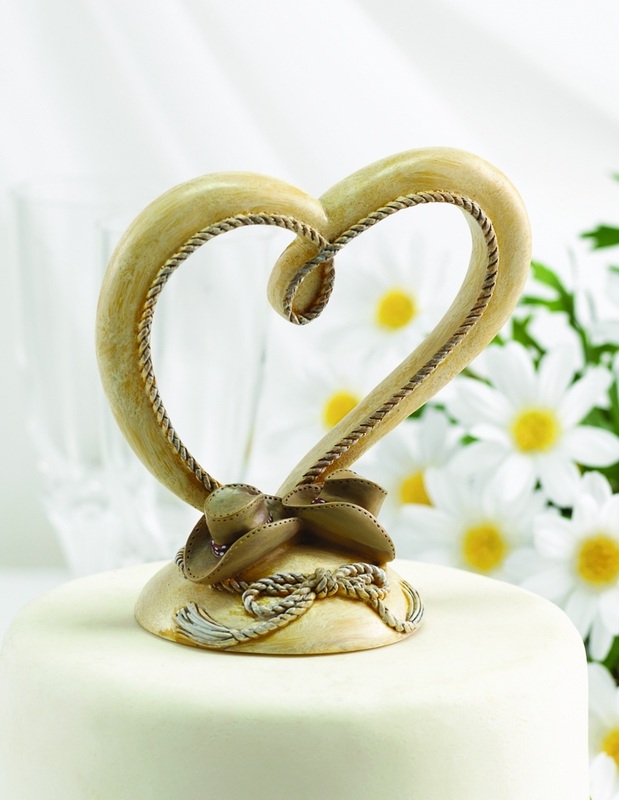 We have cake toppers to suit your theme such as our beach wedding topper and rustic country style wedding topper. Alternatively, choose a topper to show your celebration that you are now married. Choose from our just married cake bunting or our I do cake topper. 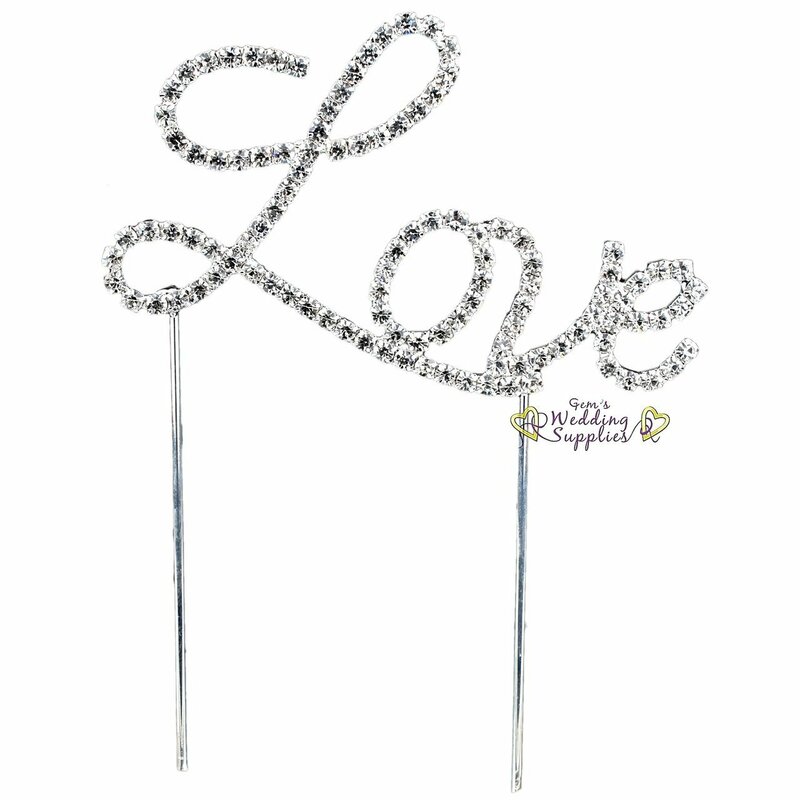 If your style is bling and sparkle, you cannot go past our sparkly diamante rhinestone cake topper decorations. Two popular styles are our double heart cake topper and our love wedding cake topper. If you prefer to personalise your cake with your decorations, we also have a photo heart cake topper where you can insert a photo of the happy couple.